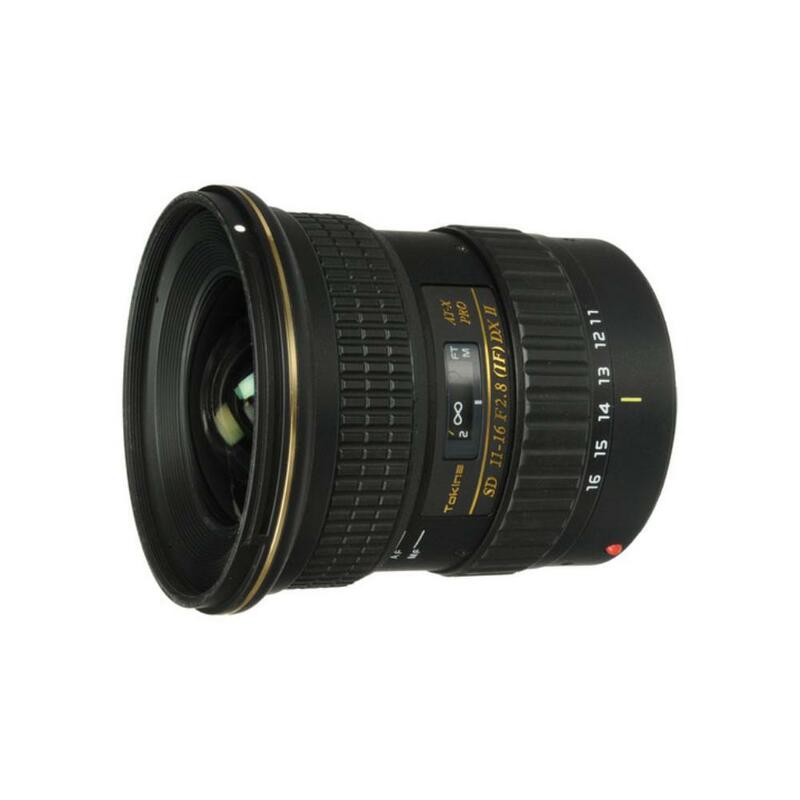 The Tokina 11-16mm f/2.8 AT-X 116 Pro DX-II for Canon is an ultra wide lens with excellent contrast, sharpness, and overall optical performance. It features a One-Touch Focus Clutch mechanism which allows you to switch from AF to MF with the push of the focus ring, which some shooters find faster and more intuitive than the typical small barrel switch. The f/2.8 aperture is constant across the entire zoom range and with an angle of view of up to 104°, this lens is very good for night sky photography. Designed specifically for crop sensor cameras, the Tokina 11-16mm f/2.8 AT-X 116 Pro DX-II is ideal for landscapes, cityscapes, and interiors. • This lens is compatible with crop frame/APS-C sensor cameras only.